Usually when we want to help someone spell a name or a word correctly, we use a set of common names to represent the letters in the word. 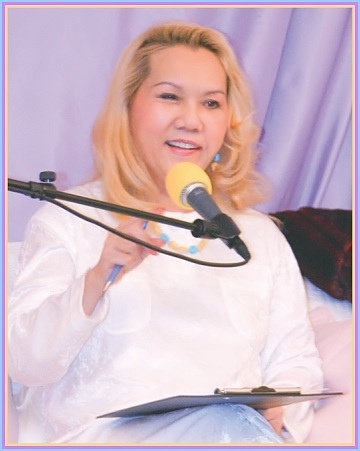 During Her recent talk in Surrey, United Kingdom, on January 7, Golden Year 3 (2006), Master discussed with fellow practitioners an alternative way to represent the spelling of these words. From this discussion, the following "Spiritual Alphabet" was created. Using this list of more positive, open, expanded, joyful and spiritually uplifting words can raise one's consciousness. In their subtle way, these symbols of blessing, hope and beauty will remind us and inspire others to think high thoughts and thus accelerate humankind's entry into an era of heavenly life.